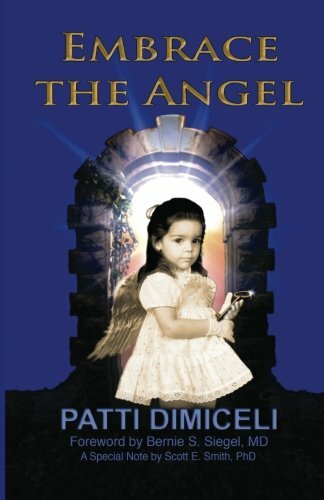 "Embrace the Angel" is a story like no other. Over 30 years in the making, this book is an intimate journal, an exposé, a transformational guide, a non-fiction novel. Easy to read, yet riveting, once you pick it up, you won’t put it down until it’s over. Through the eyes of a child, you will tap into your “Power Within,” discover ways to heal your soul, and understand the meaning of life and death. How? The answers are in Amber’s hands. And in her hands, The Key. With the Foreword written by Bernie Siegel, Amber's surgeon, you will learn how he collaborated with Patti to help Amber "cross over the threshold" and into Heaven. As a result, the rest of her life was magical and her death was miraculous. Embracing life AND embracing death is a powerful legacy the Amber left behind for us to treasure. Elisabeth Kubler-Ross, after reading "Embrace the Angel:" "I read it through and through all over again. It's very beautiful and very touching, especially her dreams and her courage and wisdom. You need to share this with the world— for Amber and Chad and all the many parents who need to know."